We are America: land of the cheese. We have pizza with “cheese pockets," fried macaroni and cheese and Easy Mac, we even have a grilled cheese sandwich stuffed with mozzarella sticks. Despite our obvious enthusiasm, we've only earned a "C-" in dairy, according to a new "report card" of the American diet recently released by the consumer group the Center for Science in the Public Interest. That is “C” for “cheese,” apparently: Using the latest data from the U.S. Department of Agriculture, the CSPI reports, “Since 1970, we’ve gone from 8 pounds per person per year to 23 pounds.” Of cheese. We are each, on average, eating 23 pounds a year of cheese. Because Americans have essentially taken cheese and turned it from a luxury item – a rare treat to be mindfully enjoyed, and savored – into an ingredient, observed New York Times reporter Michael Moss in his book on the processed food industry, “Sugar Salt Fat: How the Food Giants Hooked Us,” released earlier this year. We add cheese to foods that would be perfectly fine without it, things like salads, sandwiches and soups. And fast-food items are becoming ever cheesier. 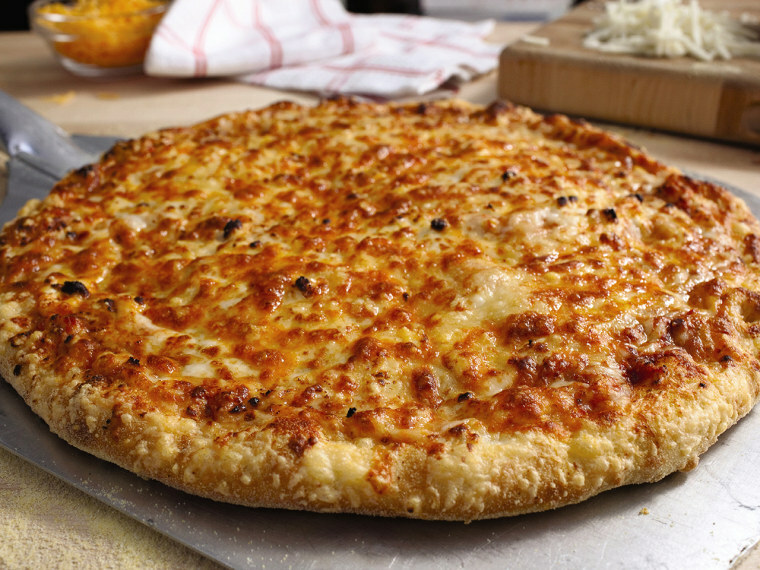 This spring, Pizza Hut introduced its "Crazy Cheesy Crust," stretching the idea of a "stuffed crust" to its outer limits: this is a pizza encircled by "16 pockets of Italian five-cheese blend." A marketing manager for the pizza chain explained the idea by telling the Wall Street Journal in April, "The main thing our customers tell us they want is more cheese." You will not be surprised to hear that all this extra cheese is not the greatest news for our health. Cheese can be a great source of calcium, protein, vitamin A and zinc – but a little goes a long way, because most cheeses are high in saturated fat. Too much saturated fat can raise your blood cholesterol, increasing your risk for heart disease and stroke. But cheese can certainly be a perfectly healthy part of your diet. Currently, government dietary guidelines recommend three cups of dairy a day; one slice of hard cheese is about equal to half of one of those three cups. But if you’re interested in cutting back on the amount of cheese you’re gobbling up each day, try sprinkling it onto food as shredded or grated cheese -- little things like that add up, helping to shrink that 23-pound cheese mountain.